BACK TO SCHOOL- WHY SHOULD YOU WATCH MOVIES IN ENGLISH? 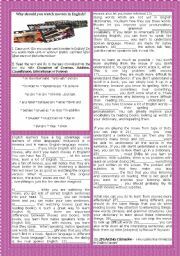 2nd WS of a SERIES- A TOUR AROUND ENGLISH SPEAKING COUNTRIES. I.A. Sts choose the right ADJECTIVE from a box in order to fill in the blanks.B.Sts fill in the gaps with the right forms of the verbs in brackets.KEY IS INCLUDED!II-SPEAKING ACTIVITY. Hope it may be useful!Have a great Wednesday!Hugs! WHY DO TEENAGERS LIKE EATING FAST FOOD? TEENS´ WORLD- TEENS/PARENTS´ RELATIONSHIPS-I.Pictures description. II. Use of PREPOSITIONS. Key is provided.III. 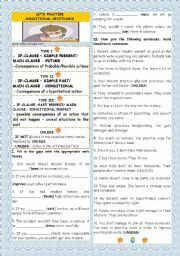 SPEAKING-Pair/Class Discussion.Hope it may be useful!Have a great Monday!Hugs! DEBATE: Why are today’s teens so eager to be famous and so strongly influenced by CELEBRITRIES? 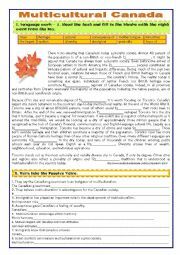 I. Sts read the text and fill in the blanks with the right form of the Simple Present, Simple Past or Present Perfect of the verbs in brackets.Key is provided. II.DEBATE. Have a nice Wednesday!Hugs! 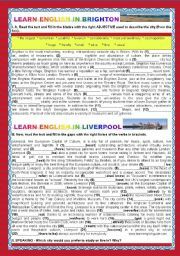 First sts are given useful information about these grammar items. Then I. Sts fill in the gaps with the right tense of the verb in brackets.II. 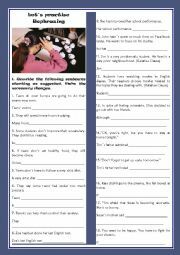 Sts join sentences by building CONDITIONAL SENTENCES. KEY IS INCLUDED.Hope it may be useful!Have a nice Saturday!Hugs! A reuploaded and improved ws. There are Pre- While and Post Listening actvities. (The song lyrics is provided). I love this song. Wish you an excellent 2011!Hugs! First sts are given some information about QUESTION WORDS. I.Sts match questions with the right answers. II. They interview Miley Cyrus- they are given the answers and ask the questions. KEY IS INCLUDED!Hope it may be useful to you!Have a nice Friday!Hugs!I´m thankful to Philip Martin for his clipart.